This section is involved both in applications for Vascular Imaging and the Molecular Imaging. In the area of VascularImaging, research is done towards the detection and quantification of the lumen and vessel wall and the plaque composition. 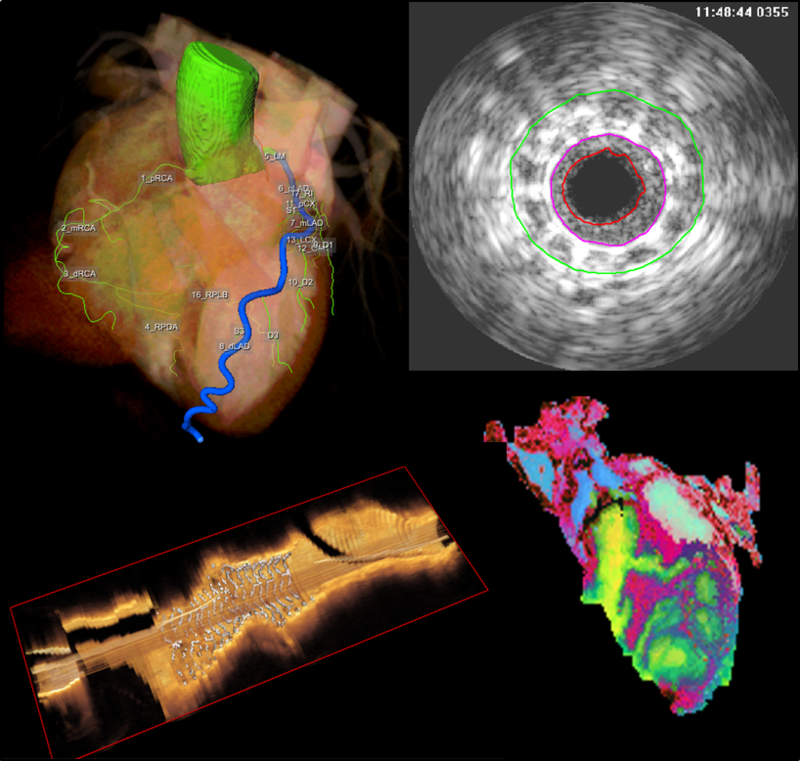 Therefore research is done towards optimal border detection techniques in IntraVascular UltraSound (IVUS), Optical Coherence Tomography (OCT), and Computed Tomography Angiography of the vessel (CTA) and the registration of the different modalities to each other to complement each other. The molecular imaging activities focus on the fusion and visualization of data from different imaging modalities and different resolution, resulting in horizontal and vertical data integration and the detection of fluorescent probes for the image guided surgery.